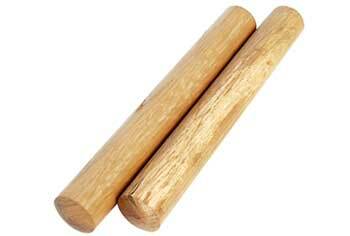 Dark wood claves (Rhythm Sticks) - One Pair. 200mm length and 25mm diameter. Flat ends suitable for popular rhythm routines. Dense selected hardwood produce a clear, defined and resonant sound. Octagon "Stir Drum" Rosewood with beater. Octagon Tone Chamber. 8 tone Octagon tone chamber with beater.